I mentioned before that I had a secret project I was working on. 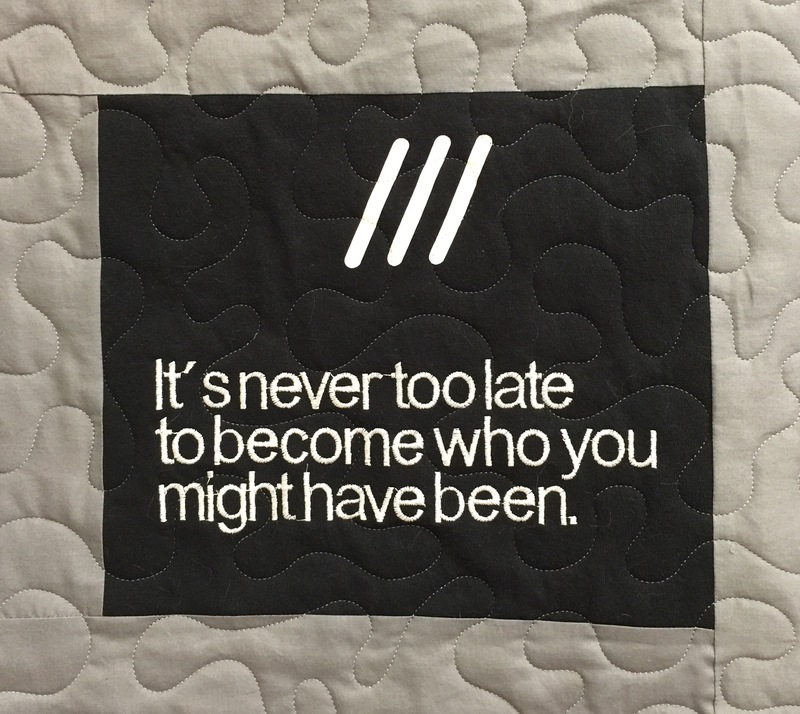 Now that this quilt has been gifted, I can share it with you. 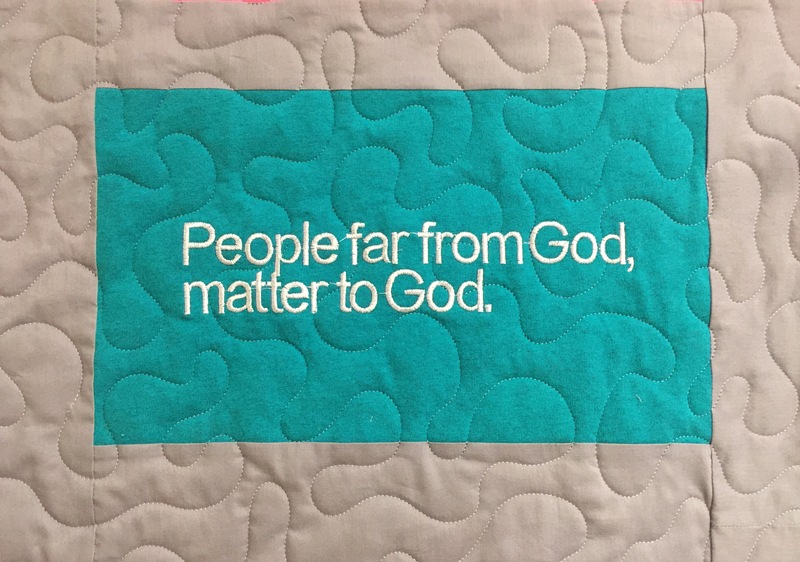 My pastor’s wife asked me to make this for our pastor. Our church uses t shirts to identify our volunteers to our visitors. She brought over one of each T-shirt we have used over the last five years we’ve been in existence. I decided to embroider some of our core values/beliefs on blocks cut from the backs of the shirts as well. Here is a look at the back and binding. This is the first T-shirt quilt I have quilted on my long arm. I’m quite pleased with how it turned out. And I think he liked it! If you are interested, you can learn more about my church here. This entry was posted in Finishes, Uncategorized. Bookmark the permalink. Awesome. Did you use a stabilizer on the shirts? I plan to make one, but not ready to start just yet. So wonderful! You did a great job! That’s a really cool Tshirt quilt. The embroidered maxims add so much to it! You have done a great job – it looks really nice!! And that happy smile says it all. You did good Katy! Looks fantastic. 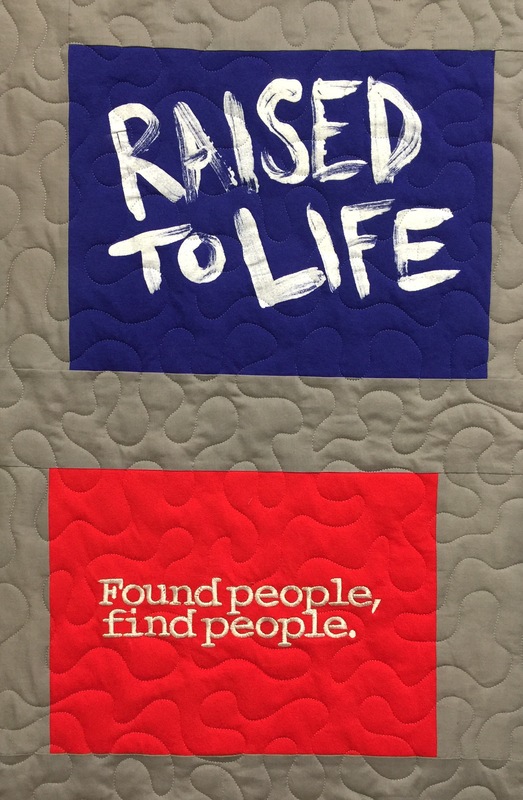 Awesome T-shirts and embroidering the core values on some blocks was a great idea! 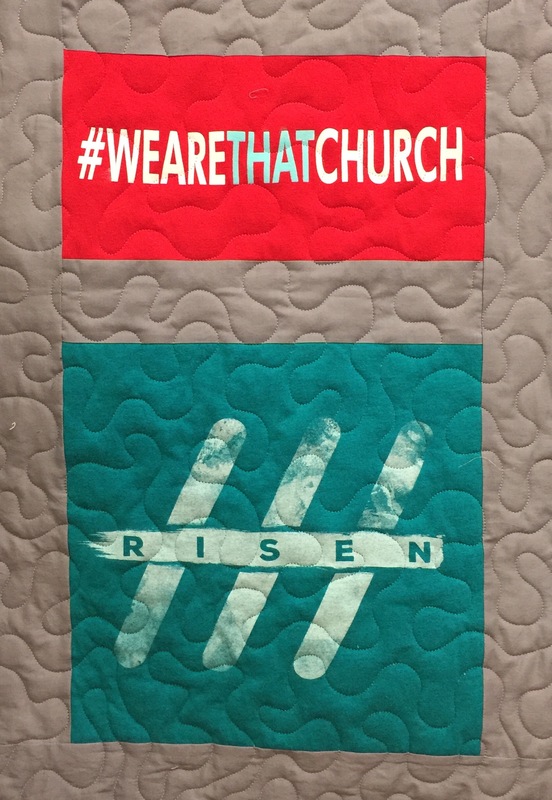 What a special quilt for your pastor. It will be such a treasure for him. That is an amazing quilt! and the sayings are awesome too!! I am glad you were able to surprise him!! What a great t-shirt quilt! Gifted and loved too! 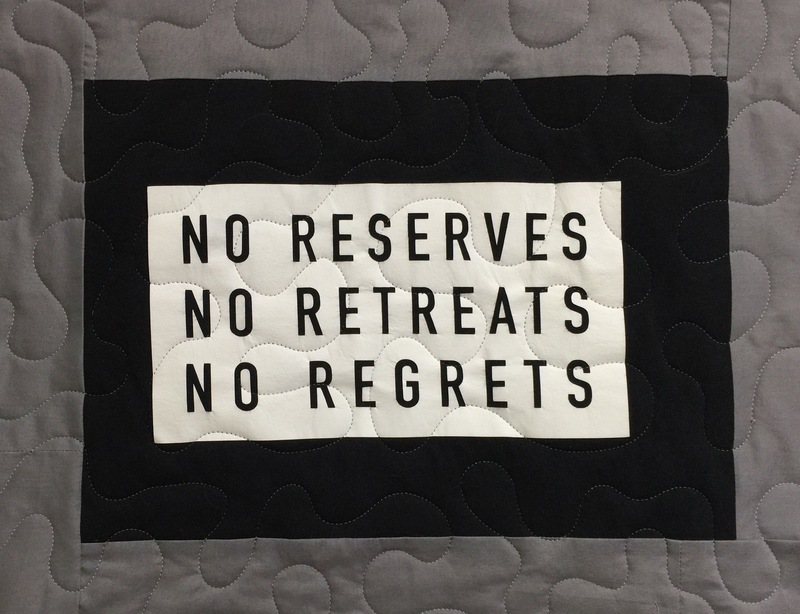 Not only a fun t-shirt quilt, but the words are so inspiring. It will be well used, I think, by the look on his face. Great job, Katy! If we’re ever in your neck of the woods, I’d enjoy visiting your church. Looks like a great place! 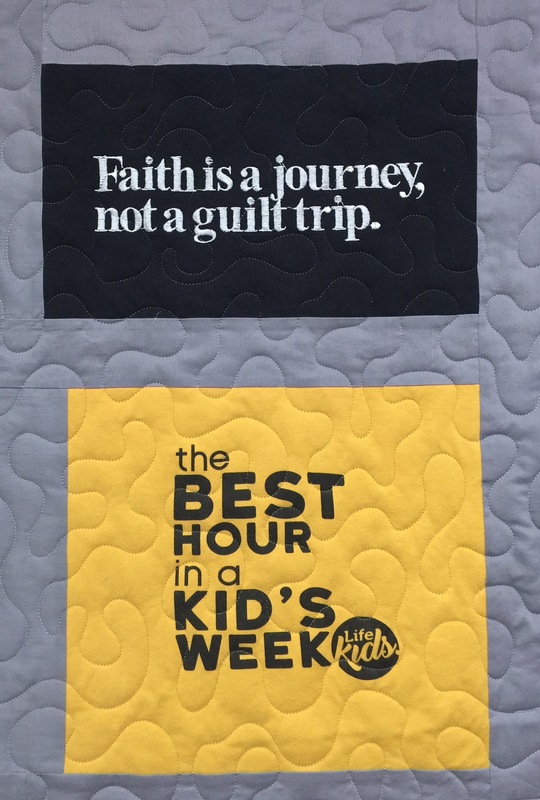 A wonderful quilt that will long be treasured! Congrats on the embroidered blocks; they look terrific. 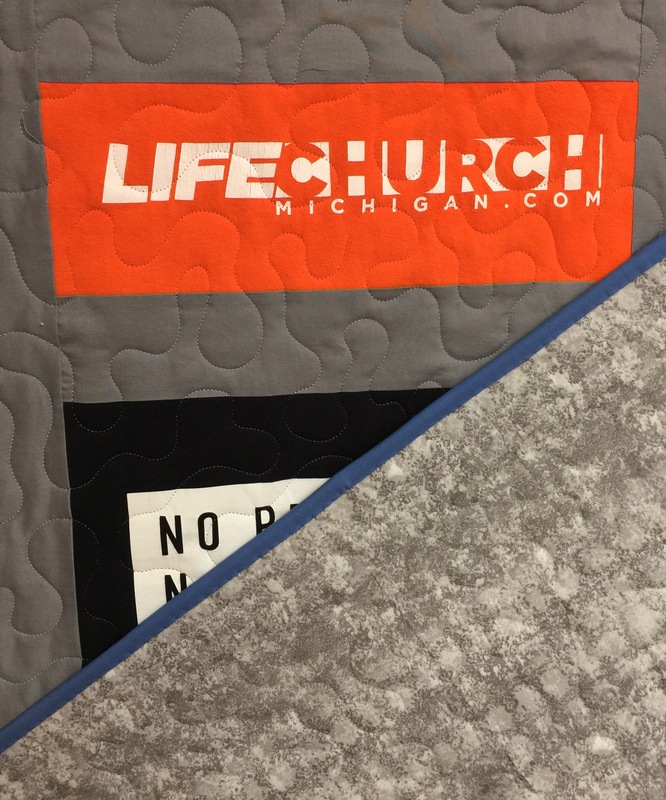 This is a beautiful gift for your pastor. Your church reminds me of mine, Victory Life Church. 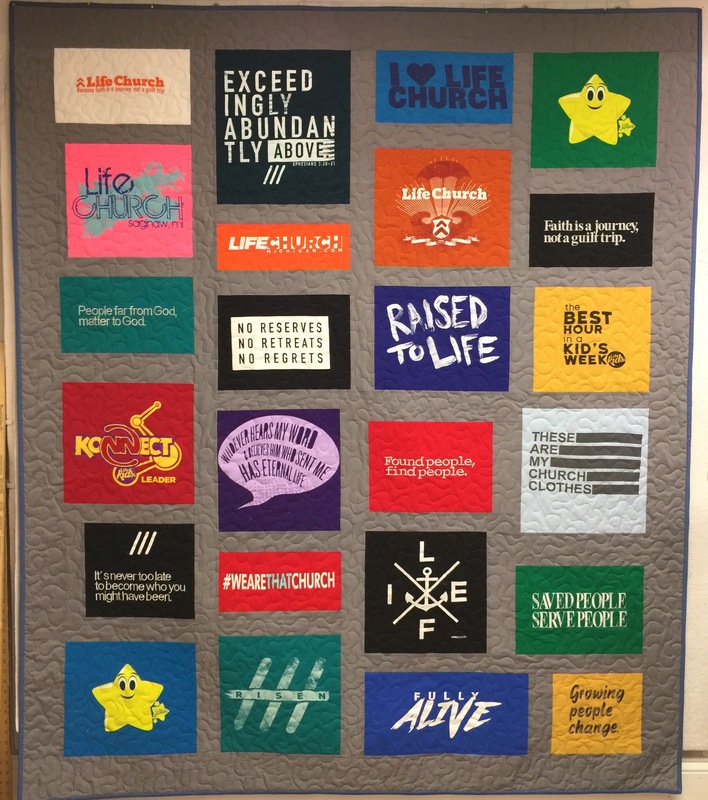 We have lots of shirts too and I’ve made a tshirt quilt for our children’s church leader. Yours is beautiful!